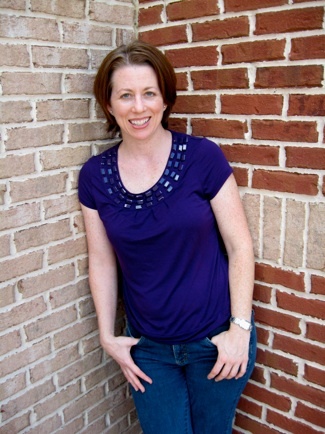 Award winning author Monica Shaughnessy is a Houston native and current Katy resident that according to the buzz is the next big thing in children and adult literature. Recently I caught up with Monica between writing sessions to chat about her upcoming young adult novel, growing up in a tiny Hill Country town and techniques to chase down slippery ideas. Once my daughter goes to school, I have a good seven-hour stretch to write. I get the dreaded social networking stuff out of the way in the morning, then spend the rest of my day cranking out prose, knocking off when class is dismissed. If I’m in the middle of a project, I may not look up from the keyboard until two o’clock. That’s when I realize the following: one, I’m still in my pajamas, and two, I haven’t eaten lunch yet. Between projects, my life is a lot messier and I spend way too many hours either obsessively plotting my next book or scrutinizing my last. Beyond the usual, like language choice and subject matter, I’d say that a book’s scope (emotional and rational) changes greatly with the audience, growing wider with the age of the reader. Let’s say I want to write a thoughtful book about the zoo. For young kids, I’d probably stick to illuminating the wonder of the visit. When you’re four, the zoo is as mind-boggling as the universe itself. For middle-graders, I’d pull back a little and have my main character ponder the lives of the animals. Are they happy? Would they rather be free? What would it be like to care for them? For older readers, I’d open the lens even more, and send my main character backpacking in Borneo to rescue chimps for the zoo’s conservation program, while falling in love with her handsome native guide, of course. No novel for young adults is complete without romance! In the last place I look. If I go hunting for ideas, they hide (slippery little critters). But if I’m minding my own business, be it in the park, the grocery story, the carwash, inspiration can strike, and often does, in the form of falling leaves, blow-ups between cranky children and tired parents, a song on the radio. I take that experience, grind it through my own unique viewpoint, and—voila!—a book is born. Gary Paulsen, author of the middle-grade book Hatchet, is a descriptive genius that brings emotion to the page. Every one of his stories has broken my heart. For picture books, it’s Nick Bruel, author of the Bad Kitty series. He proves it’s possible to entertain both parents and kids with his ridiculous, sarcastic humor. I know it’s cliché, but for adult books, nobody beats Hemingway with his get-to-the-point prose and Fitzgerald, who takes the long way around, but does it so gracefully that it leaves you breathless. Learn the rules for writing, practice them, internalize them, then FORGET THEM. Otherwise you’ll kill your natural voice. If you “write like they tell you,” your prose will sound stilted and unnatural. Or beige, which is worse. I just finished writing my latest YA novel, Universal Forces, in a marathon stretch. It’s a romantic thriller set in West Texas—black sky country—that features plenty of astronomy. So to give myself a mental break, I’m starting a chapter book series about two knuckleheads who travel the country and…wait, it’s top secret. Anyway, an 8,000-word romp with fart jokes is just the thing I need to loosen my brain until I can dive into another complex thriller, my preferred novel genre. How can we learn more about you and your writing? Visit me at www.monicashaughnessy.com. There, you’ll find links to my Twitter, Facebook, and blog. Hope you’ll stop by!